Sydney is one of Australia’s top destinations, and most visitors have a good idea of what they’d like to see before they arrive. 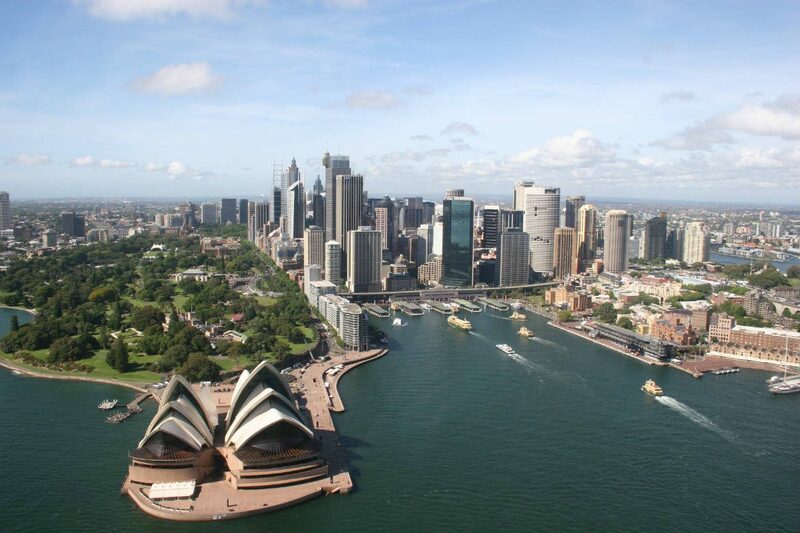 From the Harbour Bridge and Taronga Zoo to the world-famous Opera House, Sydney is home to lots of iconic attractions. However, it also contains many hidden gems that are equally worth visiting. Take it from us – you won’t regret visiting these gorgeous gems tucked away in Sydney. With walls lined with jazz, funk and rock records that are available to play or purchase, this out-of-the-way cafe feels like a welcome trip down memory lane. The top reason to visit, however, is not the music – it’s the scrumptious menu. From the classic avocado on sourdough to the intriguing “Breakfast at Epiphanie’s”, everything on offer will have your mouth watering. Plus, the seasonal menu at Suzie Q Coffee and Records celebrates slow-cooked, locally sourced, and free range ingredients. What more could you ask for? 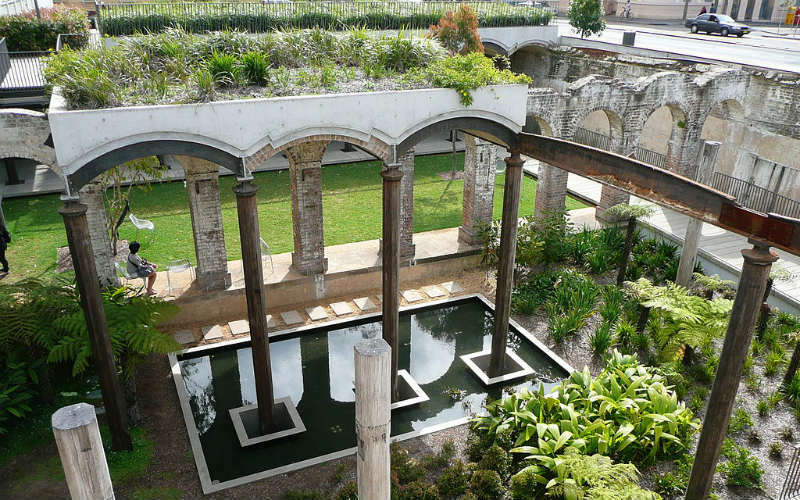 Paddington Reservoir was originally built in 1866 to help meet Sydney’s growing water demands. It fell into disuse at the turn of the century and was subsequently used as a garage until roof collapses closed the venue in 1990. In 2006, a major development project saw the historic venue transformed into a sunken garden and urban park. Much of the original brick, timber and iron architecture remains, now complemented with modern steel, aluminium and concrete. Stroll along the boardwalks and take in the hanging gardens, water features, and the vibrant graffiti in the shadowy eastern chamber. Paddington Reservoir Gardens. Image Credit: Hermoine9753 / CC by 3.0. Right in the middle of the city, an ominous entranceway off Pitt Street is all that marks the way to what is possibly Sydney’s most secretive Scandinavian restaurant. Descend 34 steps and you’ll find yourself in a dark corridor; follow this all the way to a heavyset door and buzz yourself in to find Norsk Dor. Here, you’ll be greeted by hanging lightbulbs, shelves of preserves, and wooden chairs draped with kangaroo pelts. With an impressive selection of cocktails and a sophisticated menu that stays faithful to the Nordic theme, Norsk Dor is the snug Scandinavian hideaway Sydney didn’t know it needed. Norsk Dor. Image Credit: Norsk Dor. In 1992, Wendy Whiteley transformed a public eyesore into one of Sydney’s most magical spaces. 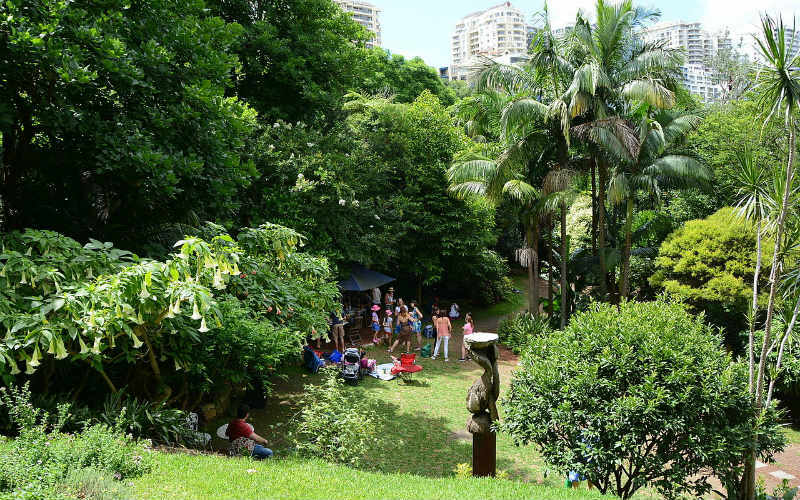 Formerly an abandoned trainyard, this secret garden in Lavender Bay now houses native and exotic plants, sculptures, winding paths, a great fig tree, benches, and spectacular views of Sydney Harbour. A beautiful project which continues to commemorate her late husband, Wendy’s Secret Garden is the perfect place to enjoy a picnic, a stroll, or a lazy afternoon of peace and quiet. Wendy Whiteley’s Secret Garden. Image Credit: Sardaka / CC by SA 3.0. If you’re looking for an out-of-the-way spot to have a relaxing drink or meal, Sappho Books is the place to go. Not only does it sell second-hand books, with over 30,000 titles available, but this quirky joint also boasts a cafe and wine bar tucked away at the rear. A garden courtyard, great music and an eclectic art collection complete the cosy vibe. To top it all off, you’ll also find poetry nights held at Sappho Books on the second Tuesday of each month. This little gem of a walking track will take you away from the hustle and bustle of Sydney’s CBD and into the serenity of nature. 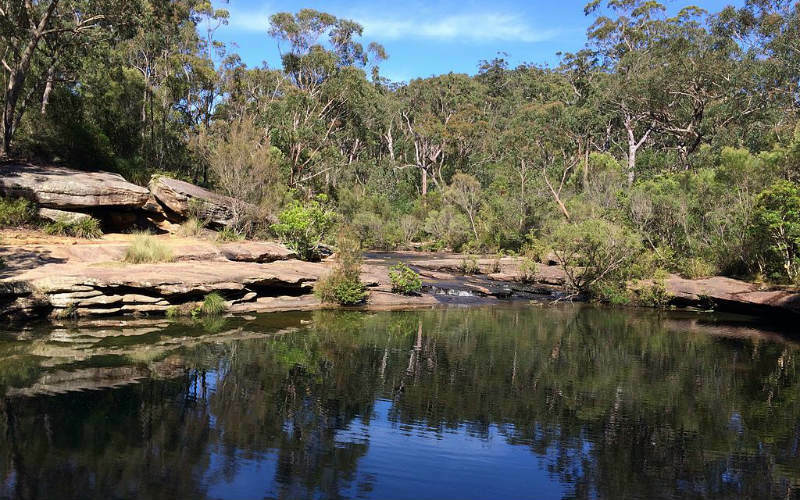 Start from Heathcote train station and follow the 5km track on an exploration of gorgeous sights, including ‘whaleback’ rocky outcrops, Karloo Pool, and the gushing waters of Uloola Falls. Karloo Track is also a wonderful place to see lots of gorgeous wildflowers in the springtime. Karloo Pool. Image Credit: Philip Terry Graham / CC by 2.0. 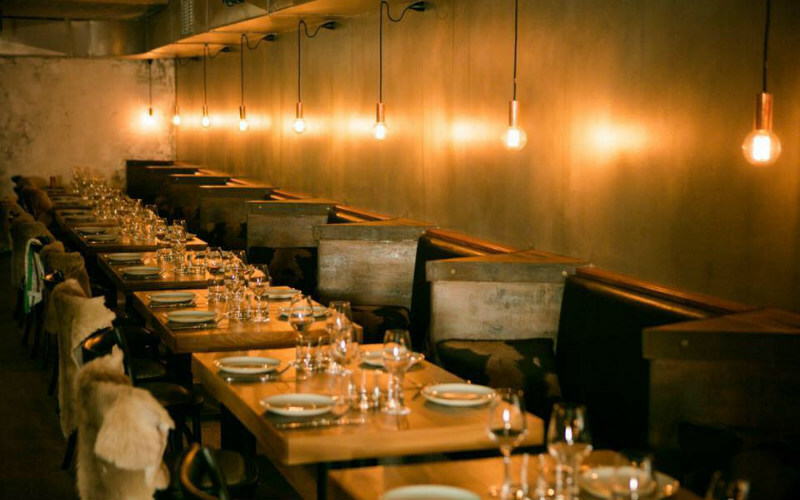 Ready to experience some of Sydney’s hidden gems for yourself? Find cheap flights to Sydney with Webjet today!